How Can an SSCI Evaluation Improve Case Sealing Operations? 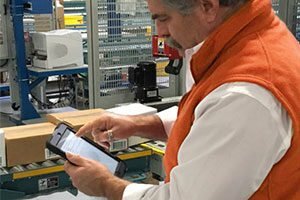 An SSCI – or Single Shift Continuous Improvement – Evaluation is a process that generates a simple, data-based comparison of your “current state” case packing, sealing and palletizing operations to that same operation with a ShurSEAL automated case sealing solution installed. Once the evaluation is complete, details of the “current state” versus “ShurSEAL state” are delivered to you via an SSCI Report, which highlights incidents of machinery stoppage/failure, manual labor requirements to repair and recover from issues, financial costs related to such issues and more. The evaluation is completed in a single, 8-hour shift so there’s minimal interruption to production, and provides quantifiable, real-life data that can be used to improve your case sealing operations. Contact us now to learn more about our SSCI process or to schedule a no cost, no risk evaluation of your case sealing operations.